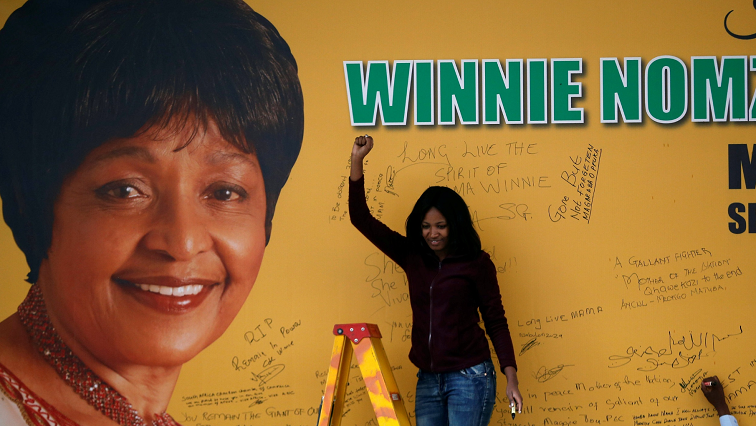 SA citizens urged to embody the spirit of Mam' Winnie - SABC News - Breaking news, special reports, world, business, sport coverage of all South African current events. Africa's news leader. Dlodlo says like Mam' Winnie people should hold public servants accountable. Public Service and Administration Minister Ayanda Dlodlo has called on South Africans to embody the spirit of late struggle stalwart, Winnie Madikizela-Mandela. She was speaking at a memorial service to honour Madikizela-Mandela at Plettenberg Bay in the Southern Cape on Thursday. The service was characterised by struggle songs, with mourners describing her as a defiant leader who stood for what’s right. Dlodlo says people should hold public servants accountable. Meanwhile, musicians including the likes of Zahara and Lira paid their tribute to Madikizela-Mandela at a concert at Constitution Hill in Johannesburg on Thursday night.